I made this little guy as a parting gift for one of the boys I had been babysitting. The time had come for me to move on to the next job, and so I wanted to give him a little gift. He loves stuffed animals (What three-year-old doesn’t?) 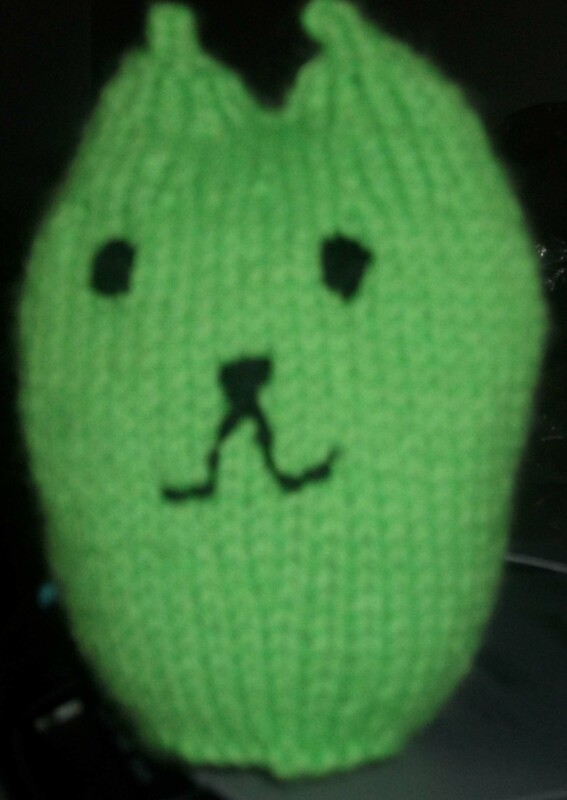 and has a couple of cats, so I decided to make him a stuffed kitty. 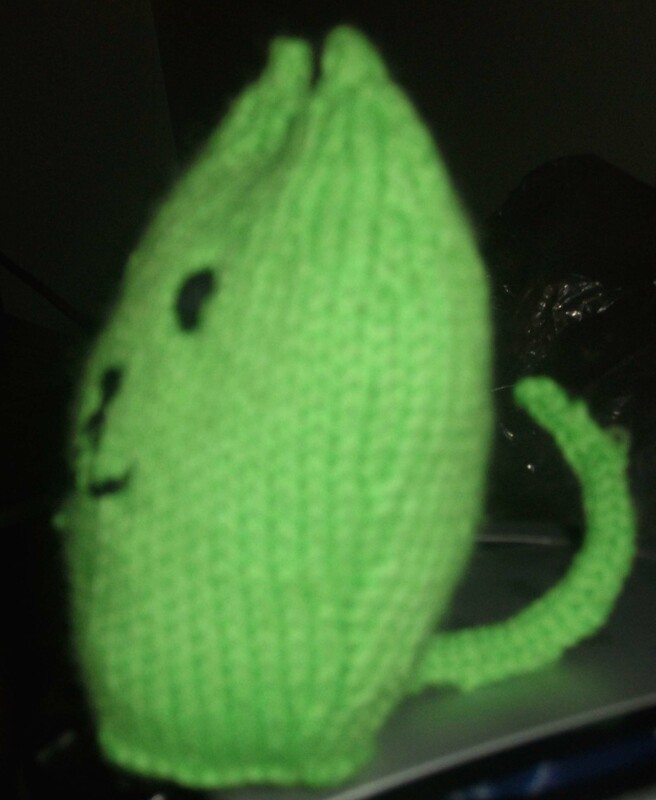 This cat is made from the “Mao” pattern by Angela Tong, found here. 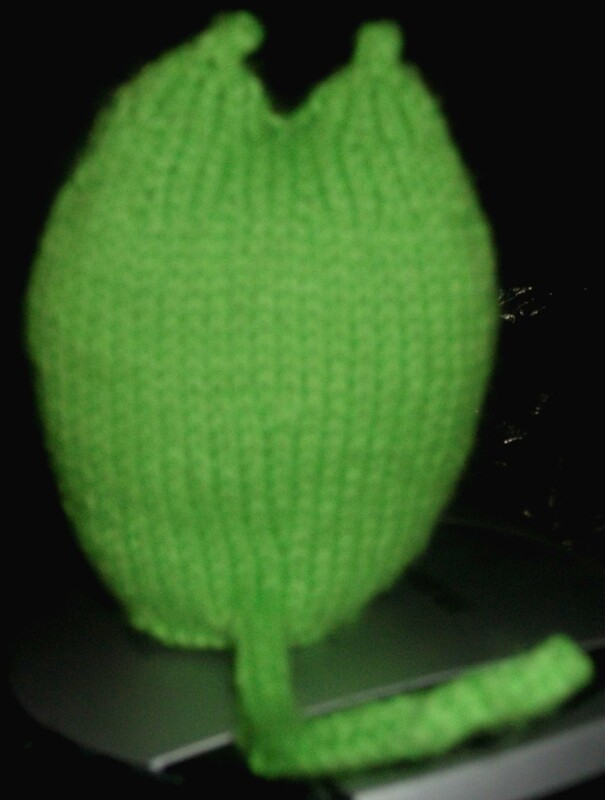 It’s knit from the ears down in one piece, with the i-cord tail picked up in the back at the end, so there is no real sewing involved aside from the face. The bottom is flat, so he stands up very nicely. It was the first stuffy I had made, at least in a long time and the only one for a child instead of an animal. What kind of gifts do you like to make for kids? Anyone have an interesting stuffy pattern you have used recently?